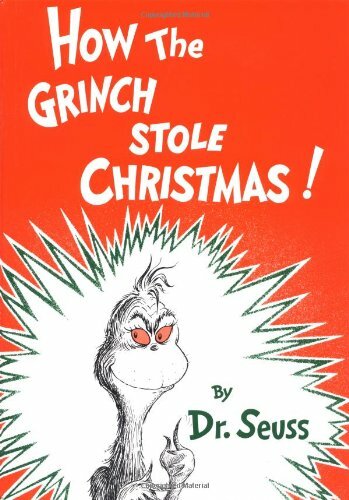 Love the Dr. Seuss and the Grinch!? 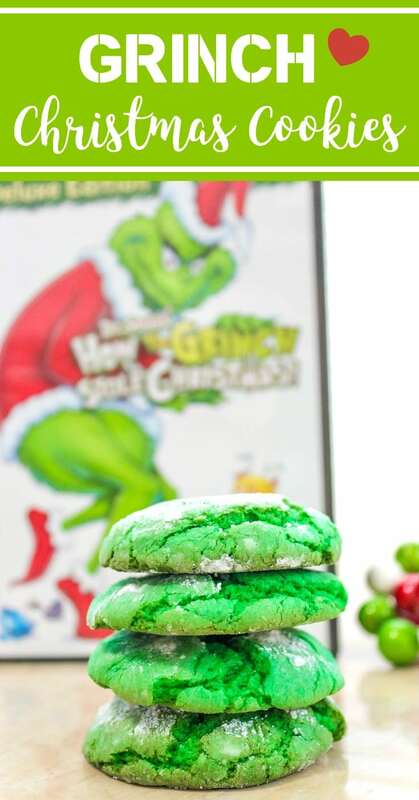 Then you must try this How the Grinch Stole Christmas Cookies recipe! 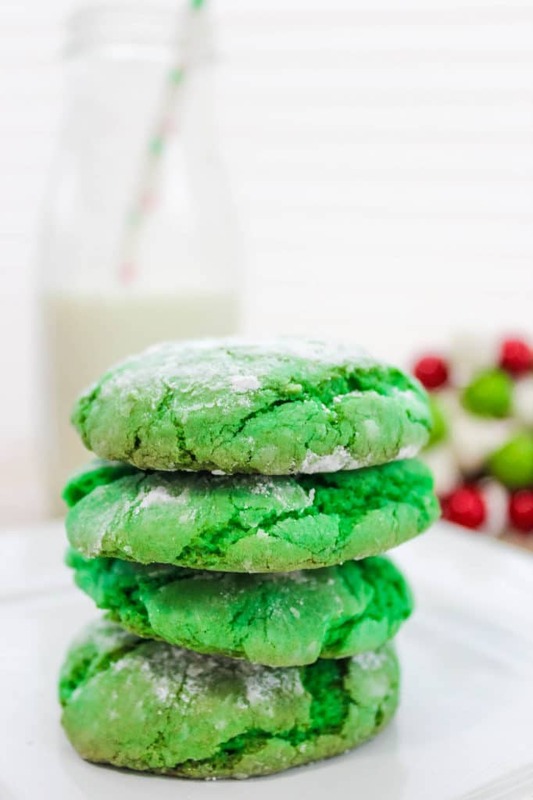 These Grinch Crinkle Cookies are the perfect accompaniment to family holiday movie night. 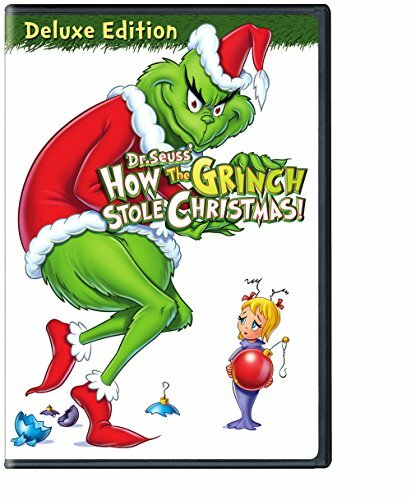 Since Carnival Cruise Lines announced their partnership with Dr. Seuss Enterprises, my daughter has been BEGGING me to watch ‘How the Grinch Stole Christmas’. 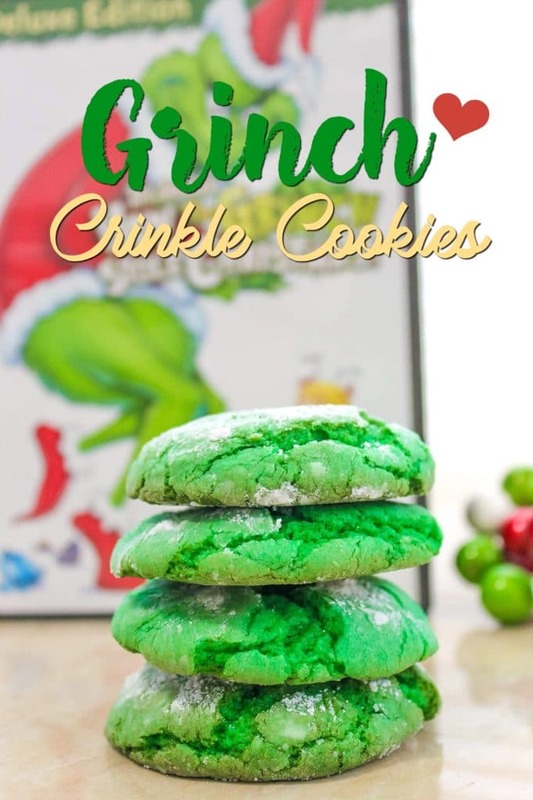 I’m not one to decline a Christmas movie— especially one as awesome at the Grinch— so we decided to make a movie night of it with some very special ‘How the Grinch Stole Christmas’ Crinkle Cookies. 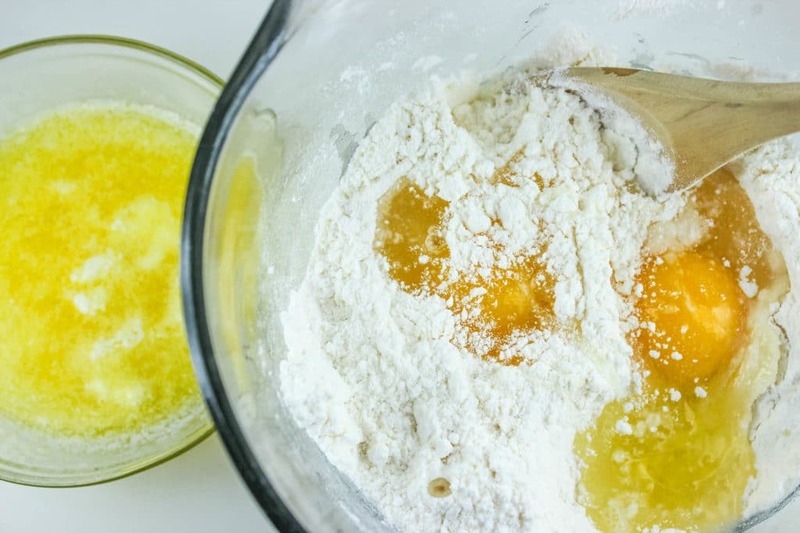 These crinkle cookies are soft and chewy due to their boxed cake mix base. 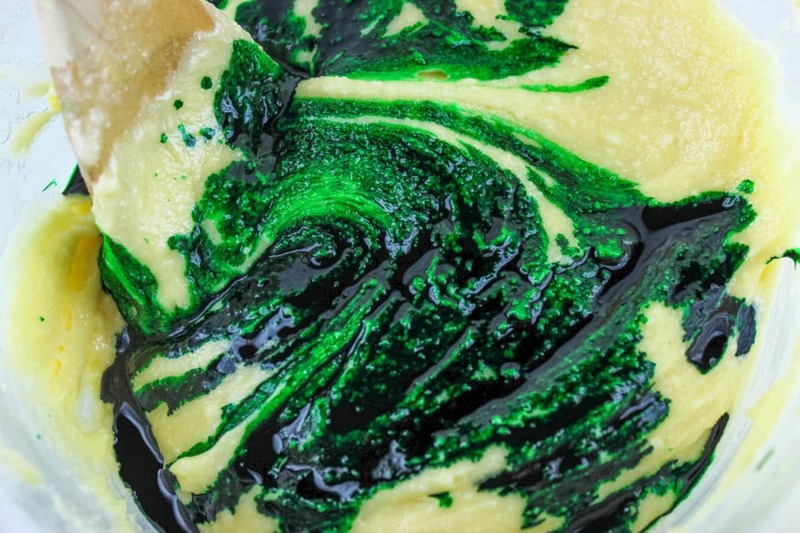 Green food coloring gives them a festive hue— Cookies so amazing that I’d eat them from a SHOE … I dare you to try at least one … if not TWO! 4. 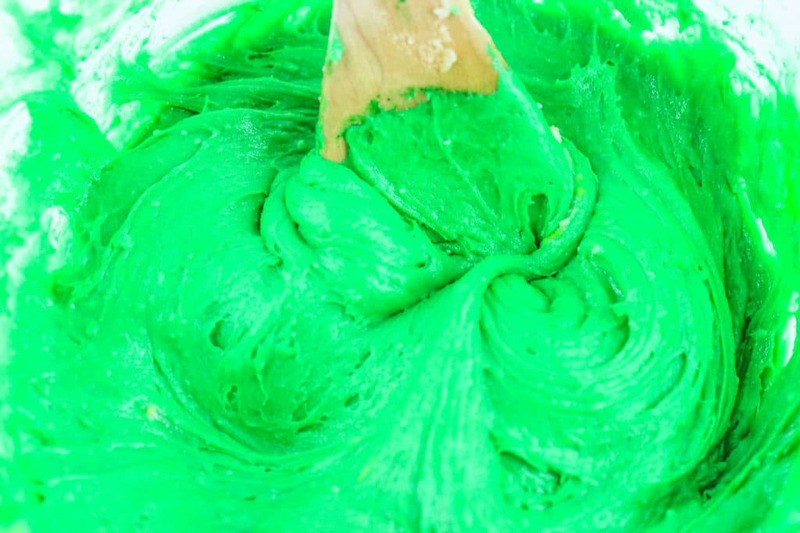 Add drops of green food coloring to cake batter until bright green color is achieved. 5. 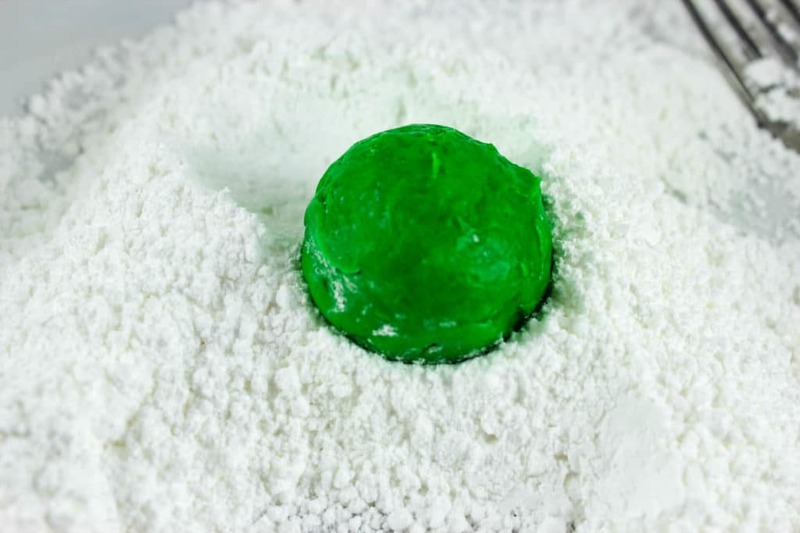 Use a cookie small scoop or 2 spoons to gather up individual balls of dough and roll into the sugar/starch mixture until covered (avoid touching the dough as the food color may transfer to skin). 8. Let cool on cookie sheet for several minutes before transferring to cooling rack. Oh my girls would love this! The Grinch is their fave and my sister in law just gave them Grinch shirts. Simple and adorable! These would be a blast to make. Oh my goodness, these are just way too fun! Love, love the idea and the tie-in. Cutest cookies and great idea. I have two little boys who would absolutely love these. Cute idea! 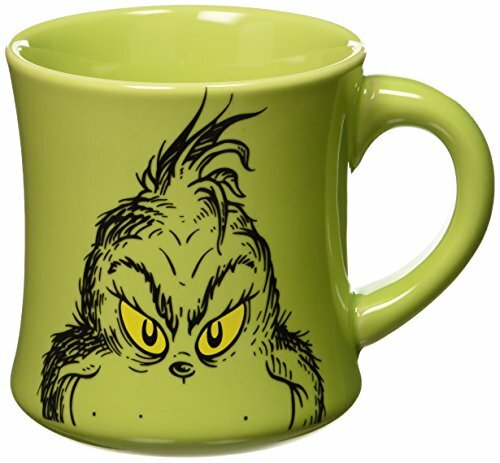 My toddler son is obsessed with the Grinch right now so he’d get a kick out of these! Those turned out so cute! I can’t wait to make them. These are so cute. The movie is on Christmas Eve, so maybe we’ll make some of these then. Oh, I love this! 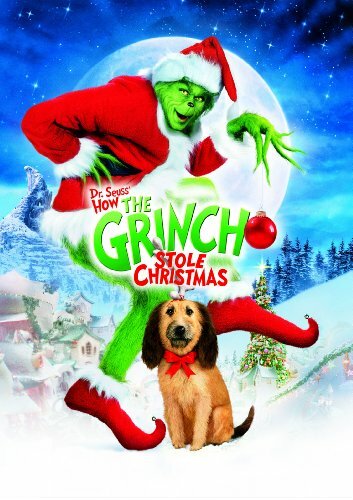 We just watched the Grinch last night on TV. Those are ADORABLE! MY kids would get such a kick out of those. P.S. love your food post display at the bottom of your post…. is that a plugin or part of your theme? It’s the Related Posts plugin! These are so adorable and I bet they taste really good, too! Am I missing something or does it not say in the instructions what to do with the veg. oil? I am assuming it goes in with the cake mix. You are correct! 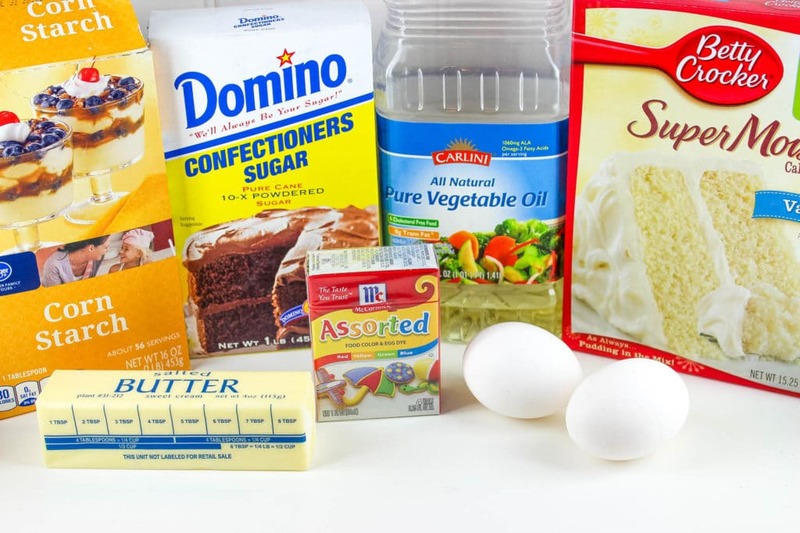 It’s for the cake mix…I will update.